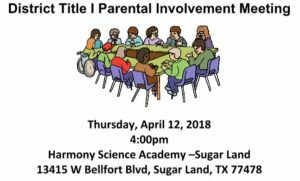 You are Cordially Invited to Attend Houston West’s District Title I Parental Involvement Meeting. YOU ARE ALL INVITED!! 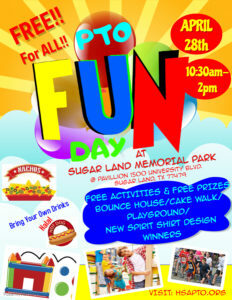 to PTO FUN DAY on Saturday, April 28th from 10:30am to 2pm. PTO will have FREE Halal Hot Dogs & Nachos!! As well as FREE ACTIVITIES & Prizes for the children!! Bring Your Own Drinks(BYOD) and your jump ropes, balls, bubbles!